This Venetian mask is laser cut metal and hand painted. 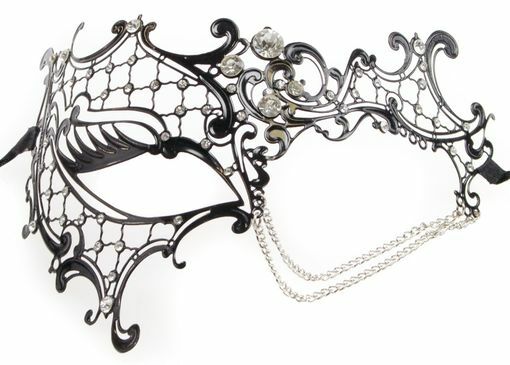 Mask has metal chain around left eye and adorned with faux crystals. Comes with black ribbon ties. Color Black. Be sure to check out all of our masquerade masks!